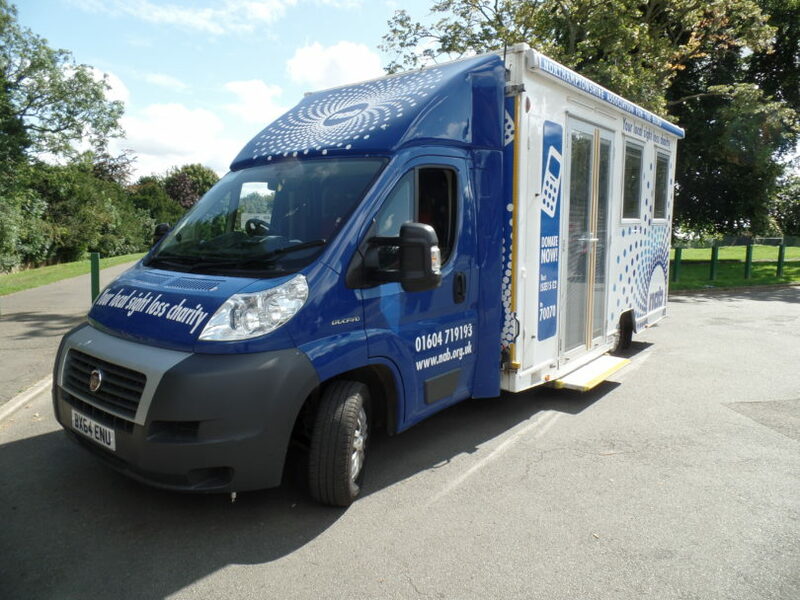 Great news, our Mobile Sight Centre will be back in a town near you this September! Brackley – 6th September – 10am to 12:30pm parked on the Piazza near Town Hall. Corby – 15th September – 10amto 1pm parked close to Corby Cube. Daventry – 27th September – 10am to 1pm parked near Shopmobility, New Street. Deanshanger – 20th September – 10:30am to 12 noon parked outside Memorial Community Centre/Library. Earls Barton – 14th September – 1:45pm to 3pm parked in Medical Centre car park Aggate Way. Long Buckby – 27th September – 2pm to 3pm parked at GP Surgery on Station Road. Northampton Abington Street – 22nd September – 9:30am to 3pm parked close to Central Library. Potterspury – 20th September – 12:30pm to 1:30pm parked outside the Post Office, High Street. Towcester – 6th September – 1:30pm to 3:30pm parked at Waitrose, Water Lane. Wellingborough – 14th and 28th September – 10am to 1pm parked opposite Hind Hotel.